but a certain farmer polished the whole batch off last night. i'll take that as a compliment. just as india is a vast and exotic land, full of mysteries around each corner, each region a unique culture in and of itself, so it is with indian food. it is a cuisine with so many regional differences that one finds it difficult to put a finger on it's commonalities, however one thing you will find in all indian food is spice. countless spices. visit an indian food market and get lost in the spice aisle. the names, the colors, the scents, the textures; boxes, bottles, packets, glassine envelopes, barrels-full. the fragrances of an indian food market are redolent with the spices commonly found in indian food: cumin, black and brown mustard seed, fenugreek, clove, chiles, peppers, coriander, turmeric, saffron, cardamom, cinnamon, peppercorns, fennel, bay leaves, garam masala, and more, and seasonings such as ginger, garlic, onions, and tomatoes. commonly used oils are peanut, mustard oil, and ghee. most indian homemakers have at least 25 different spices and seasonings in their pantry. their dishes are largely vegetarian--if meat is eaten, it will be found on special occasions. dishes can be spicy, or not, and daals, or lentils, and curries (which is the name the british used to describe the common use of some meats, but primarily vegetables cooked in flavorful spices and seasoning in stewed sauces and gravies) are the building blocks of every meal, complemented with relishes, raita, chutney's, fruit pickles, and pickled onions. coconut meat, oil, and milk are commonly used (as in the dishes below) in curries and daals, and rice, grains, nuts, fresh and dried fruits, teas, and the delicious naan, the most common bread of india, round out the pantry. historically, a robust spice trade and colonization by aryans, persians, arabs, the british, and portuguese have had strong influences on indian cuisine, and culture, in which very literally, variety is the spice of life. in a large saucepan, toast spices in oil until mustard seeds begin to pop. add coconut milk with lentils. bring to a boil, then reduce heat to simmer 10 minutes, stirring occasionally. add onions and tomato paste, stir well. as lentils thicken, monitor liquid level, and add water if necessary. continue to simmer 15 minutes longer, or until cooked to desired consistency. (can range from soupy to glutenous--your preference) correct seasoning with salt and lime juice. serves 4 as a side dish. soak rice in water for twenty minutes. brown spices in ghee or oil until fragrances are released. add currants, rice and water, bring to a boil, reduce to simmer, and cover with well fitting lid or aluminum foil, snugly. simmer, covered, 20 minutes. remove from burner, and allow to sit, covered for 10 minutes. remove lid, add lime zest, toss with a fork to loosen. serves 4.
brown onion in oil until limp. add spices and saute until mustard seeds begin to pop. add half can of coconut milk and half sliced cabbage. simmer until cabbage is limp. add remaining cabbage and cilantro stems. simmer until second batch of cabbage is just tender. toss with cilantro leaves prior to serving. serves 6.
combine vinegar, salt, and cucumber and allow to marinate 4 hours, or as long as overnight. saute mustard seed in oil until seeds begin to pop. add coconut and toss to blend. in a small bowl, combine drained cucumbers, dill weed, mustard and coconut mixture, with yogurt. allow flavors to marry one hour prior to serving. naan is a leavened, oven-baked flatbread which, in variations, can be found all over asia and the middle east. in india, it is commonly used as a utensil; in fact is the only utensil used at most indian tables, as it is traditional for the people of india to use (only) their right hand to feed themselves. naan is used to pile a bit of each dish, to eat out of hand. naan can be found in regular supermarkets, packaged, often in the bread or deli section. if you'd like to tackle naan yourself, the recipe found here, at allrecipes.com, is a good place to start. you might even move on to adding dried fruits or nuts to your homemade naan, just as you'll find in india. these flat beans don't just make delicious soups. they're packed with protein, not to mention b vitamins zinc, and a whopping 12 grams of fiber per one cup serving. eat 1/2 to 1 cup, twice a week, to support muscle building and digestive health. curcumin, the polyphenol that gives the spice its tang and yellow hue, has antitumor, antiarthritis, and anti-inflammatory properties. studies show that it also inhibits the growth of plaques associated with alzheimer's. sprinkle half a tablespoon on fish, chicken, grains, soups, or stews to add color and flavor. these energy-rich snacks lower bad cholesterol, thanks to plant sterols, and benefit diabetics by lowering blood sugar. they're also rich in amino acids, which bolster testosterone levels and muscle growth. eat a third of a cup a day with the skins on. the skin is full of antioxidants. thank you for dropping by today. we'll see you in a few days for wordless wednesday, pictures of patriotism, putting us is in the mood for celebrating the upcoming fourth of july holiday. you must live in the present, launch yourself on every wave, find your eternity in each moment. tapas-- snacks, canapés, finger foods, and 'small plates'--are spanish in origin. they come in many different forms, and often differ from region to region. they can be as simple as a skewer of a chunk of tuna, cocktail onion and olive, or they can be as elaborate as a small casserole. they are served every day, all day in every bar and café in spain. tapas keep the spanish fueled for their 'pub crawls', and are intended to facilitate leisurely conversation over wine or cocktails, more so than an elaborate dinner. in the last decade this spanish style of grazing has gained in popularity among american bar-goers, or simply as an alternative to the traditional evening meal. 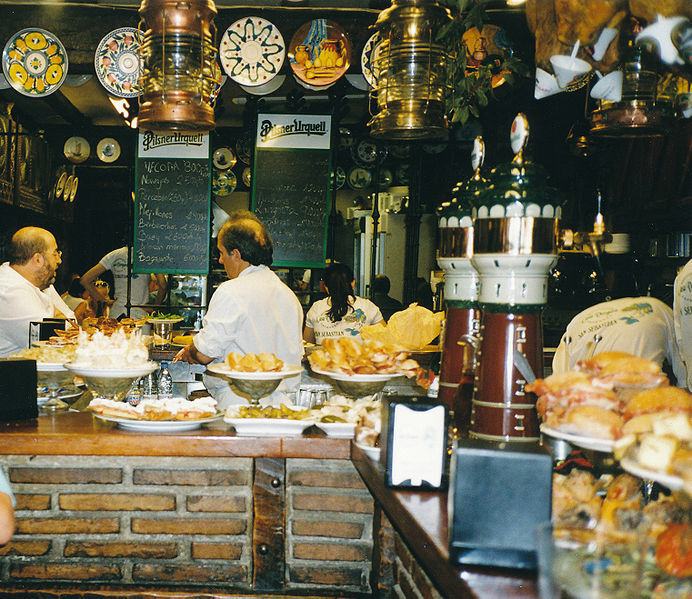 the tapa, meaning cover, has origins as varied as tapas themselves. various legends have it that the tapa, or plate of tapas, were used to cover one's wine glass to discourage fruit flies, thus the name. up here, from maggie's farm, tapas appeal to us for many reasons. we love these little bites of delicious; maybe a small plate in the early evening to stave off hunger, before returning to the gardens in the cooler time of the day, or a way to indulge ourselves in foods that are either pricey, or how do we say it, caloric without compromising our time, money, and dietary budgets. they're great for picnics, cocktail parties, and for you, if you're like us, wanting just a little bit of everything. variety, as they say, is the spice of life. we've pulled together some of our favorite and easiest tapas, american style, here. (because who wants to spend the afternoon in the kitchen in these hot, hot days of summer?) and we've developed these recipes to include a variety of superfoods that help you make even healthier choices. perhaps you'll try some for an evening dining al fresco, a late afternoon picnic for one with your only guest, an engrossing summer read, or over cocktails and dinner with friends. however you enjoy them, buen appetito! top freshly-shucked oysters with from maggie's farm traditional pesto to cover. broil until pesto begins to melt, which usually takes as long as the aroma does to getcha, and you succumb. muster all of the willpower you have, and allow to cool a bit so you don't burn your lips on a piping hot oyster. toss medium to large shrimp with lime juice and allow to marinate for twenty minutes. drain and spread on a single layer on silpat or foil-lined baking sheet. season sparingly with chipotle chili powder, sea salt and the zest of a lime. roast in a 400°oven just until shrimp begin to 'pinken', about 3-5 minutes. remove and turn shrimp, seasoning the opposite side. return to oven for an additional 3-5 minutes, or until pink and cooked through. slice a cross in the top of figs, ¾ through, separating the top into fourths that remain connected. spoon from maggie's farm rosemary lemon chevre into cavity, then wrap with a slice of prosciutto, around the base of the fig, overlapping. drizzle lightly with honey. broil until prosciutto has crisped, and chevre begins to brown. let cool before serving. cut into ½ to ¾"cubes 8 ounces firm-fleshed fresh fish of your choice (we used halibut). toss with the juice of two limes and allow to marinate, occasionally tossing, thirty minutes, or until fish is opaque throughout. (the acid actually 'cooks' the fish). drain the fish and combine with one jar from maggie's farmtamer version). serves 4 for individual servings, (or as many as 12 in small cups for a tapas party). in a blender pitcher, combine one cup loosely packed cilantro (stems and all), 2 cups fresh or frozen mango chunks, the pulp of two large kiwi, one small pickling cucumber, peeled and chunked, one yellow bell pepper, cored, seeded and chunked, 2 red chile peppers(or to taste), stemmed (and seeded if desired), ½ t salt, 2tablespoons honey. blend until the desired consistency is reached, (which would be like small minced pieces suspended in some liquid, much like salsa, but not as much blended as a smoothie) serve chilled in shot glasses. spread frozen edamame pods in a single layer on silpat or foil-lined sheet. drizzle lightly with sesame oil. sprinkle with gomashio (the sesame, sea salt, and seaweed condiment popular in asian cuisine). roast in a 400° oven until beginning to lightly crisp on edges, tossing occasionally to keep moistened. sprinkle with additional coarse sea salt, to taste. (shell edamame by drawing pod between teeth to release). serve with your favorite sangria, sherry, wine, cava (the 'champagne' of spain), or ice cold spanish beers. for non-alcoholic choices, enjoy mineral water, or perhaps as we have here, a minty lemonade spritzer. combine 1 part lemon juice with 3 parts sparkling mineral water, over ice. sweeten with mint-infused simple syrup to taste, and garnish with citrus slices, and a maraschino cherry or two. for an additional treat, splash a little maraschino cherry juice atop. wild fatty and cold water fish are high in omega-3 fatty acids, which protect the eyes, heart, joints, skin, and brain. populations that eat fish regularly live longer and have less chronic disease than populations that do not. whether this is because fish displaces meat or because it has positive attributes of its own is not clear. certainly, fish provides high-quality protein without the saturated fat present in meat and poultry. aim for four six –ounce servings per week to fight cardiovascular disease, cancer, inflammatory disorders, and mental and emotional problems. like bananas, this fuzzy fruit is high in bone-protecting potassium. they're also rich in vitamin c and lutein, a carotenoid that can help reduce the risk of heart disease. aim to include one or two per week, especially after exercise. shellfish, in general, is an excellent source of zinc, calcium, copper, iodine, iron, potassium, and selenium. but the creamy flesh of oysters stands apart for its ability to elevate testosterone levels and protect against prostate cancer. two servings of five oysters per week will help normalize testosterone levels in both men and women. packed with potassium, manganese, and antioxidants, this fruit also helps support proper ph levels in the body, making it more difficult for pathogens to invade. the fiber in figs can also lower insulin and blood-sugar levels, reducing the risk of diabetes and metabolic syndrome. select four figs with dark skins (they contain more nutrients) per week. what we produced this week: parmesan-herbes de provence focaccia, sundried tomato and kalamata olive focaccia, whole wheat herb boule, toasted onion and dill chevre. and you might have heard (because i keep popping my buttons with pride over it)--3 blue ribbons and one very special best of show at the county fair. what we are thankful for—every year, the northwest austin rotary club, of which my parents are active members, conducts a fundraiser to benefit local nonprofits and community endeavors by selling delicious texas oranges and grapefruit. this past year, we were lucky enough to be blessed by my parents, tom and jerre perkins, with 8(!) cases of citrus. we produced 8 different products from this citrus, and the leftovers went to some very happy goats, and into the gardens to successfully combat squash bug infestations (did you know?). we entered one of those citrus products, from maggie's farm citrus cherry marmalade and seven other products in the county fair last week, our first time to participate. we entered in hopes to receive feedback that would help in product development, but didn't expect much more, since we were the newbies among the 87 entries from more seasoned preservers than ourselves. we are proud as punch to report that we earned three blue ribbons, and our citrus cherry marmalade won best of show! we are so thankful for the generosity and support of our family. and people lined up for days for frito pie. and we took home the loot! the best of show, to boot! lessons in weight loss: stay off that scale! Click on guide to find planting dates for your region. All content ©maggiecperkins, unless noted. 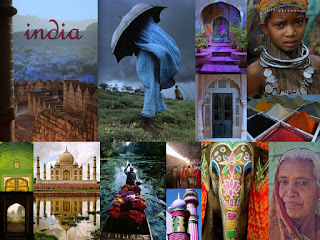 For permissions, contact frommaggiesfarm@gmail.com.. Travel theme. Powered by Blogger.